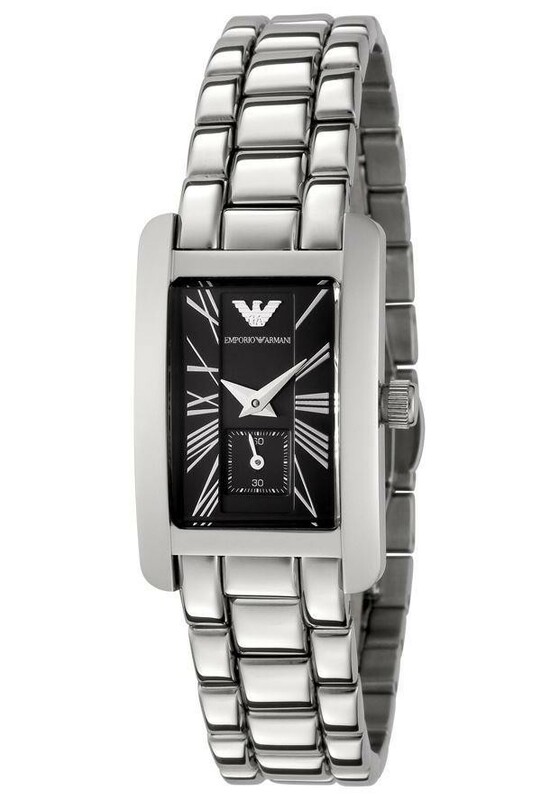 This ladies Emporio Armani watch is an elegant design with a black multi-dial clock face, Roman numeral markers. 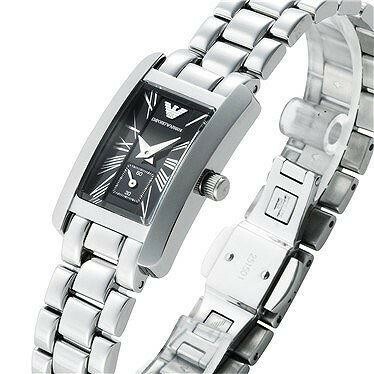 The watch fastens with a stainless steel bracelet strap. This ladies Emporio Armani watch is an elegant design with a black multi-dial clock face, Roman numeral markers. 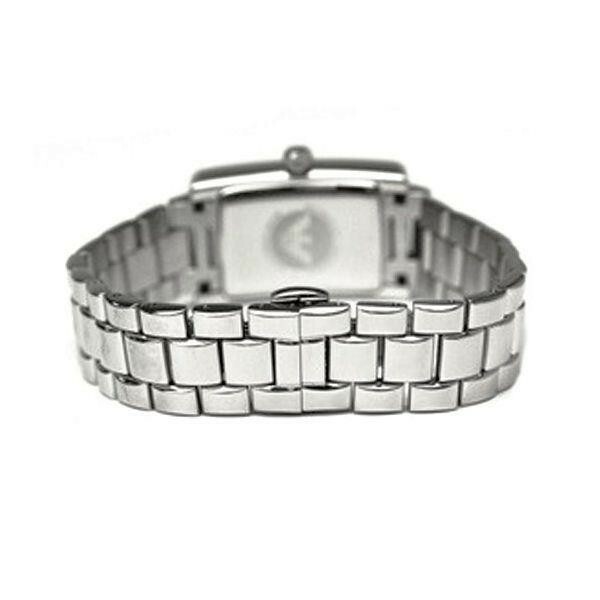 The watch fastens with a stainless steel bracelet strap.